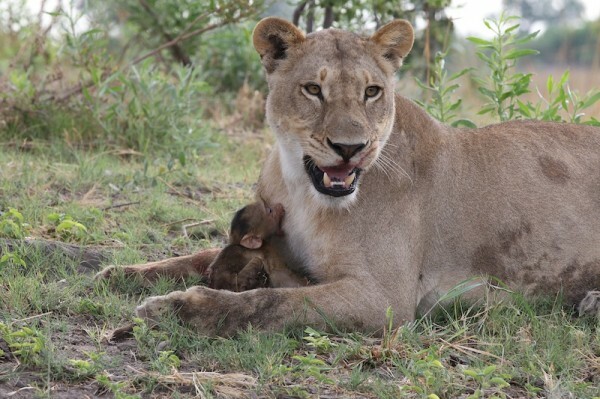 Oh snap, a lioness done got herself a baby baboon! Buuuuutttttt she caught it and is doing the opposite of what it would do with a human. She’s loving it to death and raising it as her own. Look at these adorbable pictures…. Anywho, I love to see where nature surprises us. 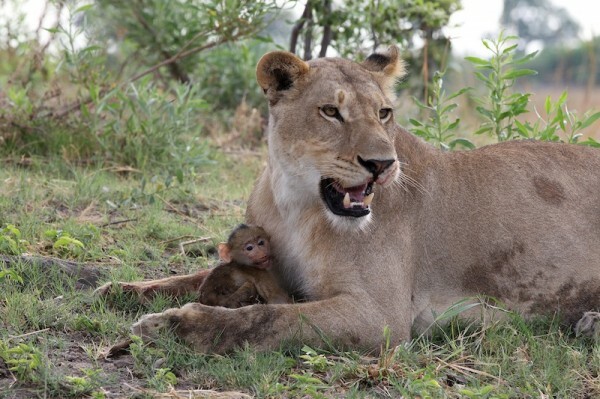 I would’ve thought that baboon would’ve been an appetizer to it’s parent as dinner or something. I would love to see how it acts later on in its life. Will he act like a lion or a baboon? So many questions. Pics and article from littlebudha.com.